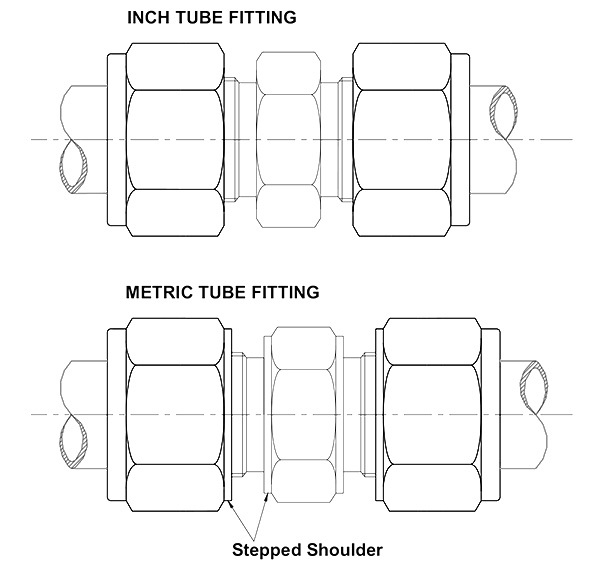 PED-LOCK metric tube fittings are similar in appearance to tube fittings in inch sizes. The significant difference however is in the internal diameter of the tube fitting components. Due to the external similarity between metric & inch sizes a stepped shoulder has been machined on the body of metric fitting & the nut. The SD double ferrule fitting has been specifically designed for use on instrumentation, process & control systems, together with equipment employed in chemical, petroleum, power generation & pulp & paper plants.